Under the Bridge: a great night of live music is on the bill at Chelsea Blues, Rhythm & Rock Festival. Enjoy a night of bluesy rock action Under the Bridge at this Fulham Road festival with leading musicians, many of whom have learned their craft from the best. Brought to you by one of the leading blues and rock organisers in the country, Solid Entertainment, Chelsea Blues Festival is packed full of blues, as you might expect, rhythm and rock – pretty much as it says on the tin. Among the acts on stage will be Jethro Tull’s Martin Barre and his band. Martin has been the guitarist of Jethro Tull for 43 years. His sound and playing have been a major factor in their success with album sales exceeding 60 million; the band are a key part of rock history. As well as several Jethro Tull albums, Martin has worked with legends of the music industry such as Paul McCartney, Phil Collins and Gary Moore and shared a stage with Jimi Hendrix and Fleetwood Mac. Martin has put together a band to play music from Tull’s catalogue which includes musicians from a similar background. Also on the bill are the Stevie Nimmo Trio; Stevie is one half of Scotland’s Nimmo Brothers with his roots firmly in the blues and er, roots world. JFK Blue are a stylish blues/rock band and have been described as having a Southern rock feel, and you’d imagine that’s the kind of vibe Bourbon Street Revival are channelling too mixing contemporary with rare and well-loved classics. The line-up is completed by Deep Sea Blue who pride themselves on being a “new wave of indie blues”. More acts are set to be announced but whoever else joins the bill it sounds as if it’s a night not to be missed on Saturday, 30th March, at Under the Bridge, SW6 1HS. Tickets £29. A new exhibition at the V&A showcases the fashion revolution launched by Mary Quant. Miniskirts put Mary Quant on the map, it became a fashion icon and came to symbolise a new era for women. The little skirt which made a big difference will no doubt be a stand out attraction in a new exhibition at London’s V&A showcasing the work and influence of the designer. Examples of her famous designs from across the 1960s and 1970s will highlight the way in which she launched a fashion revolution on the high street. More than 200 items of clothing and accessories, including unseen pieces from Quant’s personal archive will form part of the exhibition. Born and brought up in Blackheath, her Welsh schoolteacher parents refused to let the young Mary attend a fashion course so she studied illustration instead at Goldsmiths where she met her future husband Alexander Plunket Greene. After graduating in 1953 she began an apprenticeship at a high-end milliner. Together with Plunket Greene and a friend, the three opened a restaurant in the basement of a house Plunket Greene bought in King’s Road, Chelsea, by this time fast becoming “the place to be”. But it was the boutique she opened on the ground floor, Bazaar, that was to pave the way for Quant’s career and change in fashions. Starting with clothes bought wholesale, she soon switched it up a gear after the success of a pair of lounge pyjamas she had designed for the opening and began stocking the boutique with her own designs. Working overnight to produce new stock for the shop, which continually offered new lines, customers came in search of the unique items at competitive prices. 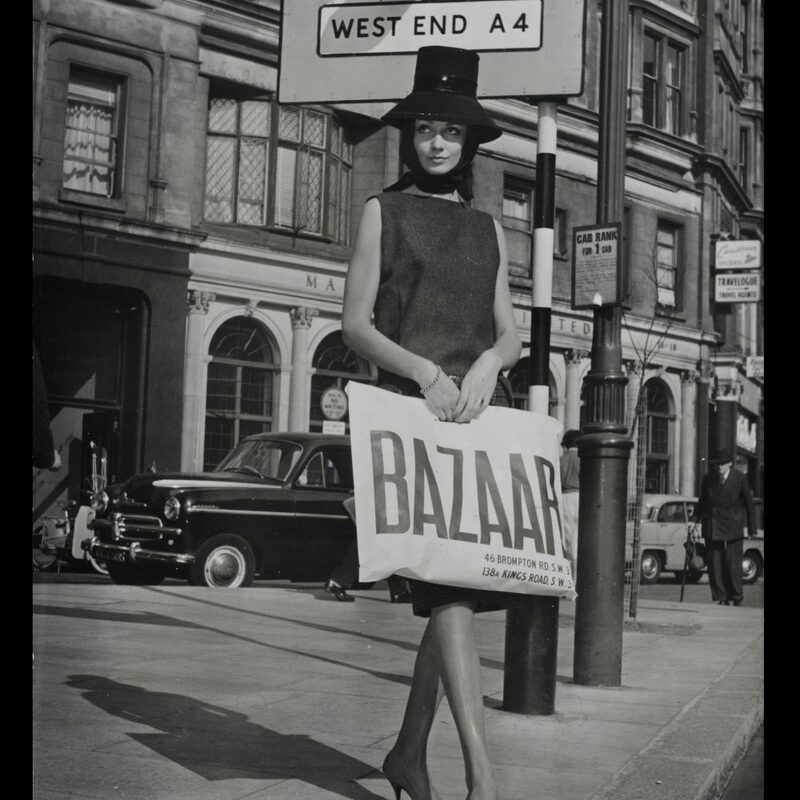 Bazaar was making a name across London as one of the few shops selling an alternative to the more “mature” designs of traditional high fashion. And it wasn’t just the clothing that brought about the different approach – the boutique offered loud music, free drinks, extravagant window displays and extended opening hours that all helped to attract shoppers. She drew her influences from the musicians, dancers and street chic as well as the Mods who were shaping London’s youth culture. Quant’s initial collections were modern, simple and wearable, she wanted “relaxed clothes suited to the actions of normal life” as epitomised by the miniskirt, named after her favourite make of car, the mini. Bright colours were a feature of her designs too drawing on clothing she’d worn as a child at school and dance classes and soon coloured tights were seen all over the capital, often with one of her high-hemline skirts. By 1957, the popularity of her clothing led to the opening of a second Bazaar in the King’s Road designed by another design icon Terence Conran. And her originality didn’t end there – in 1966 as the nation was celebrating England’s World Cup glory, she invented hotpants, a garment even shorter than the miniskirt. The designer was also honoured with an OBE in this year. She went on to sign a contract with American retailer JC Penney and expanded into the UK mass market with a cheaper line, Ginger Group. By the end of the sixties, it is thought as many as seven million women had at least one Quant in their wardrobe while her cosmetic range was worn by thousands more. The beginning of the next decade saw her empire grow to include homewares, swimwear and jewellery and even a skincare range for men. In 1990 she was awarded the Hall of Fame Award by the British Fashion Council and in 2015 became Dame Mary Quant in the New Year’s Honours. 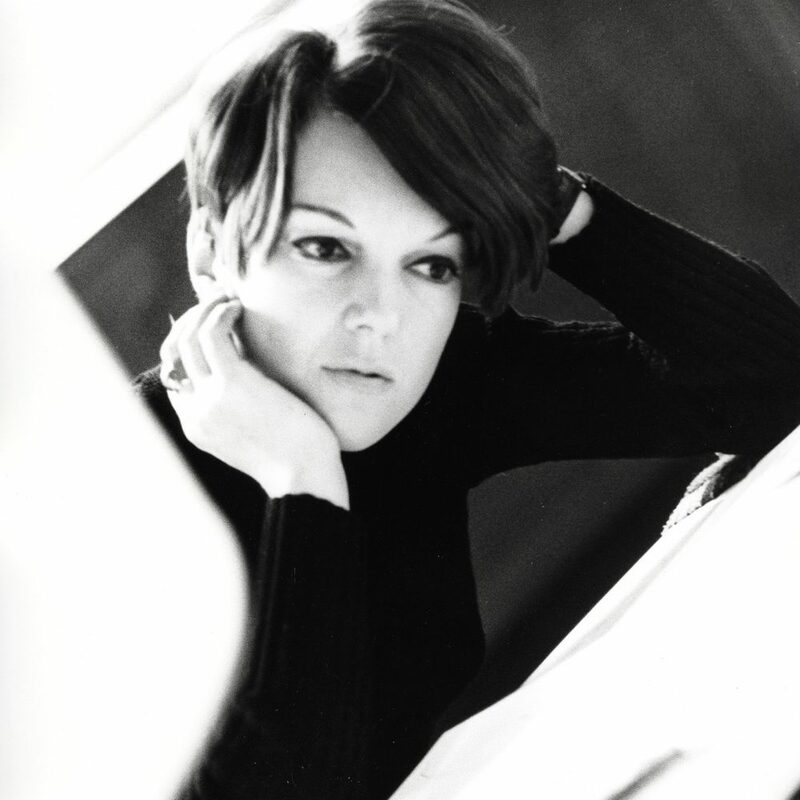 • The Mary Quant exhibition, sponsored by King’s Road, runs at the V&A from 6th April until 16th February 2020. “Growing up and as an adult I was really untidy,” she says. “I used my creative mind as an excuse and that there was much more to life than something as mundane as tidying. I’ve always been messy. It’s not that I didn’t want to be tidy; I dreamed of neat shelves and clean stationery… but no matter how much I tried, my mess was always shifted from one area to another. The KonMari™ method from Japan boasts a 0% relapse rate and has a positive, nurturing approach that Victoria wanted to share. Now a certified KonMari™ consultant and APDO member, she offers local residents a free 20-minute consultation. “By having a place for everything, tidying up daily is much quicker and by keeping ‘like with like’ it’s easier to find things. It’s important if you’re sharing a home to also let them know where everything is and store items logically. When I completed my tidying marathon I had clarity. “My husband asked me to help him too and loves the results – he says it’s like looking at a nice shop display every morning. 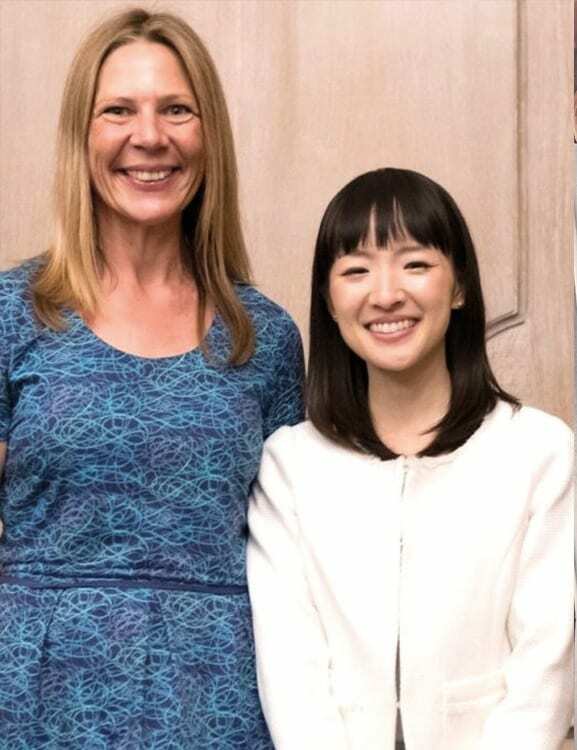 “It was amazing to meet Marie [pictured] at the London KonMari seminar last year. I knew she was petite but not until she glided in did I appreciate how delicate she is. Yet she commands a huge presence that exudes inner strength. Liz Nicholls goes undercover to help you create your dream bedroom and get a good night’s sleep in National Bed Month. Delightfully for fans of 1970s decor such as myself, one of the hot trends of the year is a celebration of retro shapes, especially the lozenge, with glitz points ramped up even higher if it’s in velvet. For a sumptuous example, check out Danetti ‘s Rene king size bed in navy blue (pictured above right) or Living It Up’s Harmonia platform bed in emerald green (above). If you want to go “full princess” (I mean, who doesn’t?! ), also check out the chic hotel-worthy beds and accessories from French Bedroom Company, including the plushious throw (jewel-hued velvet again). See our competitions page, too! March is National Bed Month when bed brands, including many based in Chelsea’s buzzing design quarter, are offering advice and deals on new beds and bedding, to encourage us all to sleep more soundly and deeply. Check out And So To Bed, Sweetpea & Willow, Original Bed Company, Button & Spring, Button & Sprung, Feather & Black, Darlings of Chelsea and Made. For all you fellow insomniacs out there, Matthew Walker’s Why We Sleep: The New Science of Sleep and Dreams is well worth a read. The bestselling author’s latest tome is helping debunk unhelpful sleep habits. Notably; keeping a regular bedtime routine (including evening meditation if possible, Calm and Headspace apps are well worth checking out) and avoiding caffeinated drinks after 12noon and naps after 1pm. Don’t underestimate the power of a dark, cosy bedroom interior to lull your body into healthy circadian rhythms – this encourages REM-rich sleep to replenish energy levels. As you can see from the range of bedroom inspo pictures here, dark and moody colours are hugely on-trend at the moment. I’ve gone for Farrow & Ball’s Inchyra Blue on my boudoir walls, set off with a soft Middleton Pink on the ceiling and copper accents. It’s not as mad as it sounds – the effect is gentleman’s-club-meets hotel getaway. 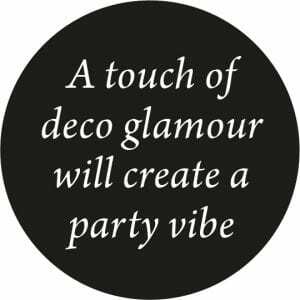 I can’t recommend a bold, dark hue highly enough – check out Annie Sloan’s new range. Switching off electronic devices, especially blue-light emitters, is a must for a good sleep, as is avoiding clocks or looking at the time during a wakeful night. If our brains are over-saturated with artificial light, this disrupts the release of melatonin, so echew overhead lights in favour of lamps; we love the infinity star (£9.99) and more by Lights4Fun and dimmable options. Research shows, too, that most of us set our bedroom temperature too high to help you drop off soundly – 18C is ideal for most people. Finally, don’t underestimate the power of great bedding to help you get a good kip! Senso-Rex, the company behind www.gravityblankets.co.uk, was founded in 2013 and its products have recently been winning rave reviews for easing stress and anxiety. State-of-the-art gravity blankets are tailored to your height and body weight to provide the sensation of being hugged or embraced and ensure a dreamy sleep. The Snoooze travel pillow has also been designed to give you perfect comfort and convenience when travelling. This revolutionary travel pillow, with zip compartments which enable it to expand and create a soft, bouncy luxurious feel, comes with a 100% cotton pillowcase and its own bag for easy transport . The winter edition of The Decorative Antiques & Textiles Fair, the first of three in 2019, will welcome you to Battersea Park between 22nd and 27th January. Inspired by fashionable 1950s and 60s nightspots, with a touch of deco glamour, the winter fair will showcase The Cocktail Hour as its foyer display – showing visitors how to create a contemporary space for parties or a modern club room vibe. The Cocktail Hour will incorporate diverse seating, side tables, lighting and decoration of all periods for a fresh look, accessorised with 20th century cocktail sets and antique drinking paraphernalia. 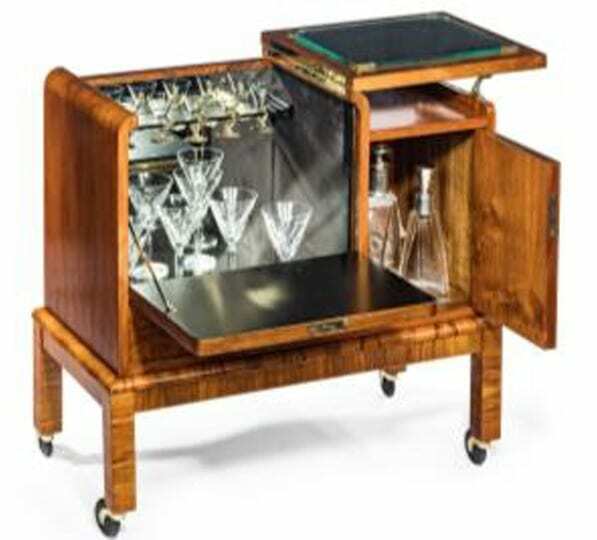 Bar carts and trolleys are still enormously popular, and stylish examples will feature, alongside cocktail cabinets, serving trays, champagne buckets and glassware. All items in the fair display come from exhibitors and will be for sale. 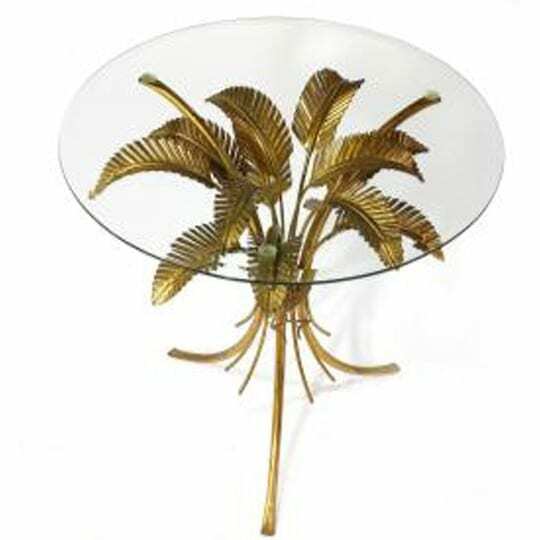 More than 150 dealers from the UK and Europe will take part in the fair, bringing a beautiful variety of antique and 20th century design drawn from sources around the world. Interior decoration dates from the early 1700s to 1970, by designers and makers from the British Isles, Europe, Scandinavia, the Americas, Africa and Asia. Furniture, lighting, textiles, ceramics and porcelain, glass, natural history items, architectural elements, and garden artefacts and seating are all on display. Works of art from all periods to the contemporary – paintings, prints and sculpture – are all in the mix. The Decorative Antiques & Textiles Fair is also the perfect place to find a wealth of accessories, especially mirrors of every style, and lighting; from antique to mid-20th century table lamps, floor lamps, wall lights, modernist ceiling lights and crystal chandeliers. Finishing touches can make all the difference and at the fair, buyers love the choice of collectables that work in decorative groups, often presented by dealers in an inspirational fashion on their stands. A wealth of specialist dealers offer antique and vintage glassware and ceramics for everyday use, colourful Scandinavian glass vases, and collections that make wonderful “tablescapes”, eccentricities such as antique dog collars, brass candlesticks and sets of decorative antique books. Visitors to the fair can also enjoy home-coooked food and baking at The Kitchen and while visiting the winter fair why not pop into the London Antique Rug & Textile Art Fair which is taking place on the mezzanine. You can admire local artist Lizzie Butler’s sky-filled landscapes and more thanks to a mixed show at the Russell Gallery in Putney until Saturday, 26th January. Lizzie’s background in figurative landscape oil painting and life drawing has informed her current work, which is expressive and semi-abstract in style. 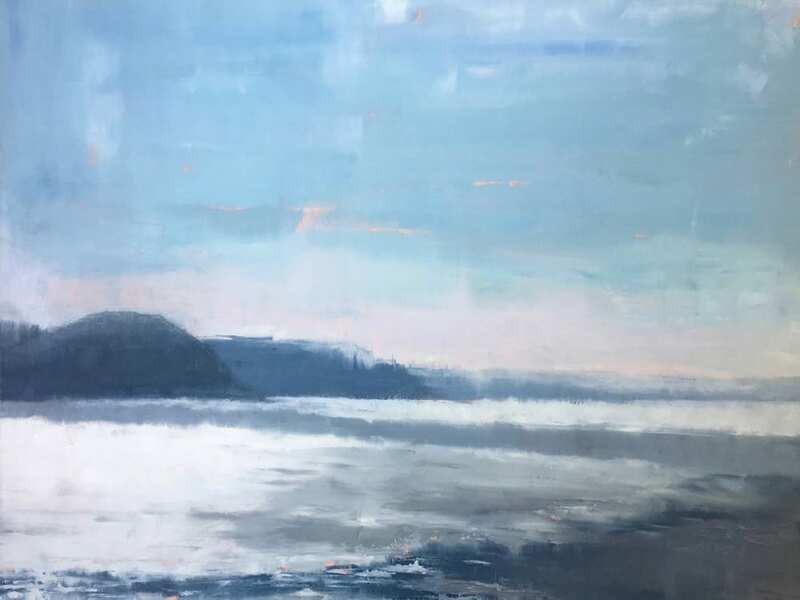 She trained at London Fine Art Studios and begins her landscape pieces, which are always inspired by land sea and sky, “en plein air”, in the form of sketches, photographs or paintings. She works primarily in oil, with some etchings. “My love of painting comes from my father who was an architect,” says Lizzie “who etched at every opportunity he had, and my mother who was a fashion designer and colourist. I have always been drawn to landscapes and wide open spaces – big skies, the likes of which you find in Lincolnshire, where I spent all my childhood summers. “I often begin my paintings ‘en plain air’ in Richmond Park, taking care to avoid marauding stags and hiding my lunch from enquiring dogs. If I am working from a photograph I’ve taken, this will be developed in my studio, in London, where many layers of oil paint are built up over several days, to create a depth and texture that achieve a different outcome to paintings created in a single day sitting in the open air. Trips to other parts of England are always an inspiration, too. 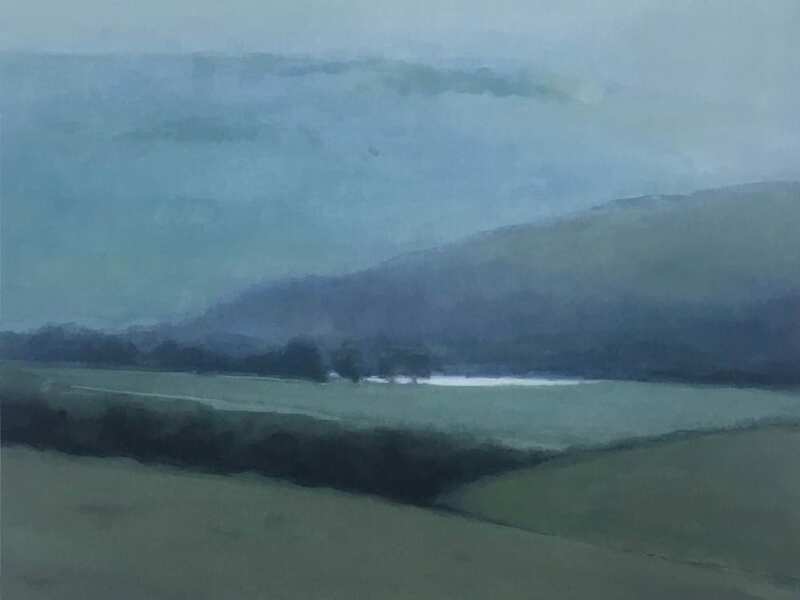 The misty rolling hills of the Sussex Downs is another favourite location that has given rise to a series of paintings and etchings based just on this region. We talk to Fulhamites Gracie and Sophie – aka Squirrel Sisters – about their mission to bring their vegan snack bar start-up to the masses. Q. You’ve both lived in Fulham all your lives – why do you love it here? “Health, wellness, food and how it makes us feel has always been a passion of ours so we started Squirrel Sisters as a blog in 2014. Our blog gained a large following quickly; people connected with our mission and the fact we are two normal girls with a busy lifestyle who want to enjoy life while feeling great. Q. You’re stocked in an impressive range of places! Have you found it hard to break into the supermarket giants? “We are extremely proud of our distribution – after two and a half years you can now find our products in more than 1,000 stores across the UK including Waitrose (you can find our cacao brownie and cacao orange flavours stocked in the Waitrose by Parsons Green), Morrisons, Boots, Whole Foods (all our flavours are stocked in the Fulham Whole Foods), Planet Organic, Selfridges, Ocado, Amazon and hundreds of independent delis, cafes and supermarkets. Q. There are lots of small, independent shops and supermarkets around Fulham. Do you think these are important as well? Q. Which healthy cafes or restaurants do you like to visit in Fulham? Q. And what are your plans for the future? Q. Anything else to share with our readers? 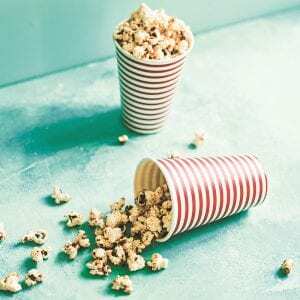 The ultimate sweet and savoury popcorn combo – you’ll make this again and again! Put the bacon in a non-stick frying pan (skillet) with a small splash of olive oil. Fry over high heat until crispy and golden all over, turning when needed so that it all browns evenly. Remove the bacon from the pan with tongs and leave to one side to cool. Tip any fat left from the bacon into a large saucepan with a lid. Add the popcorn kernels and pop the lid on. Heat over high heat until you begin to hear pops. Keep cooking, shaking the pan frequently so that none stick and burn, until the popping subsides. Turn the heat off and leave it for another 30 seconds or so before removing the lid to make sure any late-popping kernels don’t fly out at you. Tip the popcorn into a bowl, discarding any un-popped kernels. Once the bacon has cooled and hardened a little, put it into a food processor and blitz to a coarse powder. Drizzle the maple syrup over the popcorn, stirring gently all the time so that it is evenly distributed. Sprinkle in the bacon powder and sea salt flakes, mix well and serve. Gin is enjoying a resurgence in popularity, with a wealth of interesting spirits produced right here on our doorstep. We chat to some of the enthusiastic local producers and offer up our favourite tipples! Gin may be one of the most popular liquors in the country, yet the colourless spirit has had to contend with a chequered history since it first landed on these shores more than 300 years ago. Originally gin was sold as a medicine, distilled and supposedly capable of aiding kidney ailments, gallstones and gout after Dutch physician Franciscus Sylvius created genever. Brits were first introduced to it when the English soldiers assisted the Dutch against the Spanish in Antwerp during the late 16th century during the Eighty Years’ War. The armies were known to drink genever before heading into battle, and it’s thought to be the origin of the phrase “Dutch courage”. William of Orange then arrived here to rule in 1688 and promptly relaxed laws on making spirits. Gin, which starts with a base of juniper berries, gained in popularity – among all classes – with the upper classes drinking genever and the working classes making do with a new, cheaper “imitation” gin, substituting the costly ingredients with such things as turpentine and sulphuric acid. Subsequently, gin’s reputation took a turn for the worse. In London alone, more than 7,000 “dram shops” sprang up with an estimated 10 million gallons being distilled annually by barbers, grocers and market stall holders. Gin became increasingly cheap to produce, easily accessible, little duty was paid on it and some workers were even given it as part of their wages. The 1736 Gin Act forced anyone wishing to sell distilled spirits to take out a licence costing £50. Only three such licences were taken, but gin’s popularity did not wane as “mother’s ruin” remained hugely popular, before a second act was passed in 1751, which raised duty, and prohibited distillers, grocers, chandlers, jails and workhouses from selling the liquor. Thankfully this was the low point for gin and the spirit has rebuilt its once-tarnished reputation to become the UK’s most popular alcoholic drinks. Gin’s popularity has been helped by upmarket gin bars, ever-growing gin festivals and distilleries offering delicious varied botanical flavours. If you’re in the mood for boozing like a Victorian, there’s nowhere better than the illustrious Mr Fogg’s Residence club and cocktail bar in Mayfair. Inspired by Jules Verne’s well-travelled protagonist in Around the World in Eighty Days, you’ll find a magical parlour room filled to the rafters with Victorian bric-a-brac. Stuffed reptiles, suspended penny farthings, riding boots, part of a hot air balloon; it’s bizarre yet mesmerising. Two doormen, dressed somewhere between a dragoon and a Victorian butler, usher guests inside. A resident pianist sings as he plays. From the moment you step off Berkeley Square into this weird world of theatre and madness, Mr Fogg’s utterly engulfs you. Their tipsy afternoon tea is wacky and unexpected. 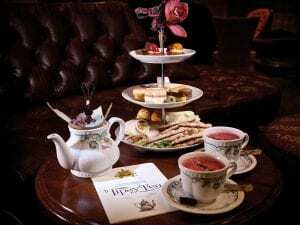 A teapot full of Mr Fogg’s spirited teas is served first; choose from a variety of tea cocktails and tinctures, inspired from all corners of the world. A cake stand laden with fudgy brownies, Portuguese custard tarts and finger sandwiches follows. If you love gin, love cake and love something a bit different, pay Phileas Fogg a visit! Another place to indulge in a winter gin cocktail, paired with perfectly spiced food, is the newly opened Kricket restaurant in White City’s Television Centre in Wood Lane. Their Lucky Neem cocktail features Opihr Gin, sugar syrup and curry leaves; check out their Lucky Neem recipe. Gin pioneers and childhood friends Fairfax Hall and Sam Galsworthy are behind Sipsmiths, the star producer based in Chiswick. Their journey began in 2009, in a tiny Hammersmith workshop where they set up London’s first traditional copper distillery since 1820. Their mission was simple: to bring London Dry Gin of uncompromising quality and character, back to the city where it first earned its name. Every bottle of Sipsmith is hand-crafted in small batches. 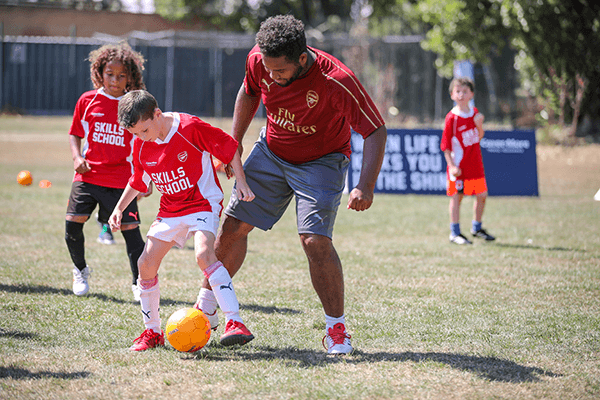 Young football fans, aged seven to 12, attended a free summer Skills School at the Burlington Danes Academy in West London, during the summer holidays, under the official club coaches of Arsenal Football Club, with support from The Little Foxes FC. The kids were put through their paces on a programme specially designed by the Arsenal coaches to develop their agility, control, speed and precision. At the end of the Skills School each child received a medal plus a goodie bag including: exclusive Skills School jersey, drawstring bag and water bottle. September summons our youngsters back to school, college and university. This may mean the start of somewhere new which is stressful for both students and parents alike. Increased screen time, pressure to succeed and the inability to switch off can tip the nervous system into permanent “sympathetic nervous system” mode. This is the “fight or flight” mode the body originally evolved as a mechanism to protect us from imminent danger. The anxiety response in the brain causes a cascade of hormones with wide-ranging effects such as shortness of breath, a racing heart, paling or flushing of the face, sweaty hands… The list goes on and, if left unchecked, may lead to more regular and extreme symptoms. Youngsters who suffer from anxiety may feel abnormal and isolated. Depression is a deeply personal issue and masks itself in many varied symptoms. Research by the World Health Organisation (WHO) has shown that perhaps the most effective treatment is personal empowerment of the sufferer’s own treatment. This means that they can learn to recognise and manage their symptoms, assisted by their parents. Finding the tools that work for the individual is key to success. A regular exercise routine is both physically and mentally beneficial for health, especially within a group or team which will help reduce isolation. Regular sleep and a bedtime routine is very important, so turn off all blue light-emitting devices, avoid late food or drink (give at least two hours to digest) and avoid caffeine and sugary drinks after 1pm. Encourage children to express themselves by drawing or writing; it’s such a beautiful tool as an outlet to release thoughts. A healthy balanced diet including “live” foods, vegetables and fruits can be hugely helpful. Amazingly 90% of serotonin is produced in the gut. A study from Victoria, New Zealand in 2017 found patients with moderate to severe depression had a statistically significant improvement in symptoms on a modified Mediterranean diet. Dr Chatterjee, star of the BBC’s Doctor in the House, shows diet can make a difference. However, when was the last time your doctor asked you about food when you were worried about feeling depressed? There are also some natural supplements which are safe, effective, non-addictive and adaptogenic, and that provide an evidence-based approach for mood imbalance and anxiety in children and teenagers. One of the most widely tested is the ancient spice saffron. Saffron targets the gut as well as the brain. Visit www.thenakedpharmacy.com or email info@thenakedpharmacy.com or call 01483 685630. 1 In the UK 16 million people experience mental illness. 2 Three out of four mental illnesses start before the age of 18. 3 10% of school children have a diagnosable mental illness. 4 Three out of four young people with mental illness are not receiving treatment. 5 The average wait for effective treatment is 10 years. 6 Suicide is still the biggest killer of young people in the UK. 7 People with severe mental illness die 10-20 years earlier than the general population.